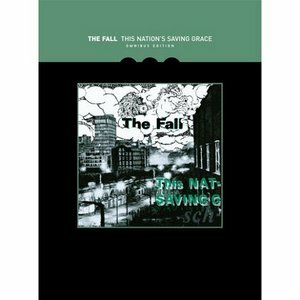 'The Wonderful and Frightening world of The Fall’ and ‘This Nation’s Saving Grace’ are omnibus edition boxed set album releases by The Fall on Beggars Banquet Records featuring artwork by David Alker and Peter Liddell. 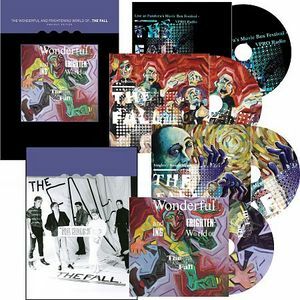 The albums are re-issues of seminal recordings and the box sets include a 40 page publication about the history of the recordings. The paintings ‘The Wonderful and Frightening World of The Fall’ and ‘This Nation’s Saving Grace’ from 'The Fall Album League' by David Alker and Peter Liddell are featured on the title pages of the books which accompany the boxed sets . 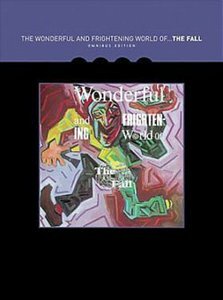 The artists and works are credited at the end of the text.